Who likes paying for shipping? No one, that's who. 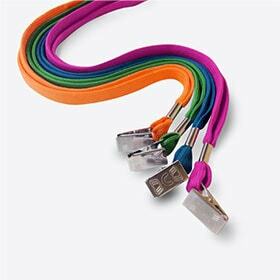 FREE Ground shipping to anywhere in the U.S.
Silky-smooth lanyards with a quick-turn, dye-sublimated printing process, our high-quality imprinted lanyards impress. The best solution for multi-colored designs and PMS color matching! 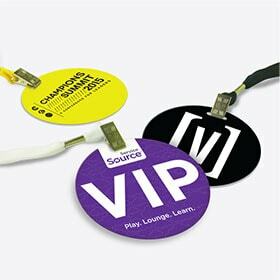 Imprinted lanyards start with a white base lanyard. Lanyards ship unaffixed. 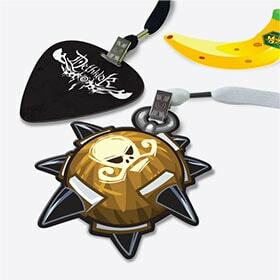 Affixing available (additional). 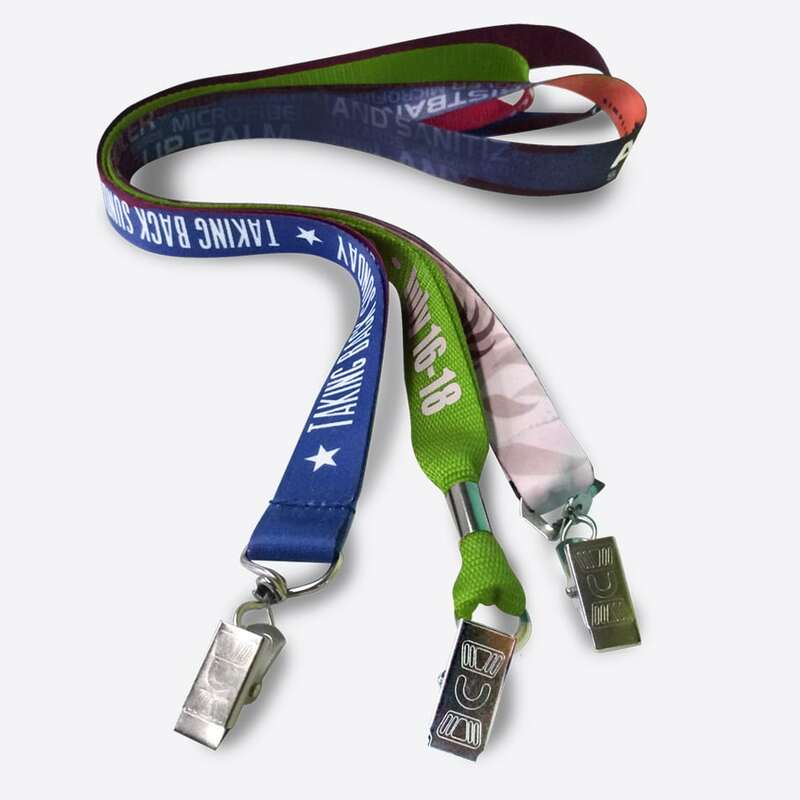 Additional time needed for lanyard imprinting. This item requires a setup fee of $49. Turnaround for this product is 7-10 business days. Use the form below to estimate transit time and cost. *We're sorry, this tool is only for U.S. customers. Contact us for shipping estimates out of the U.S. Between our easy-to-follow templates and your creativity, designing your passes is a breeze. One click, one clack, and your file is on its way to us in a flash. We won't judge you, we're sure that it's lovely. Call us needy, but we seek your approval on everything, including digital proofs. Expect a proof in 1-business day. 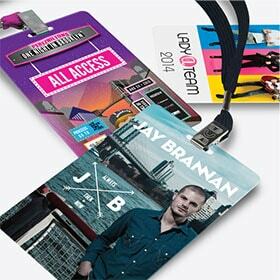 Our little elves work tirelessly to get your passes on their way to you fast, after your proof is approved.